Mission: To provide the youth with a voice to empower the community through positive impact and growth, one grant at a time. 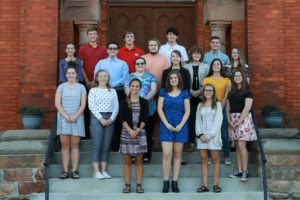 The Youth Advisory Committee (YAC) is a group of students made up of student representatives from Otsego County high school districts and adult advisors. Members of the YAC are empowered to create a positive role model for youth as philanthropists and volunteers; accesses local youth needs; promote positive youth development; review grant applications and make recommendations to the Board of Directors of the Otsego Community Foundation on the distribution of grants that impact the youth of the county. The Otsego Community Foundations initially created YAC in 1994 with a $1 million dollar challenge grant from the W.K. 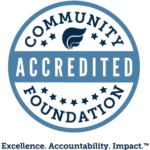 Kellogg Foundation through the Michigan Community Foundations Youth Project. The purpose of the Youth Project was to encourage youth development in local communities throughout the state while strengthening community foundation leadership and grantmaking capacity. The OCF YAC was established to oversee a permanently endowed Youth Fund and to make grant recommendations to the Board of Directors. Since its inception, the Youth Fund has granted more then $30,000 to projects that impact the youth of our county. The YAC meets monthly during the school year to learn and accesses the needs of the youth in Otsego County. These dedicated students attend training sessions, work on fund development, are involved with community engagement and volunteerism, review grant proposals, participate in site visits to grantee organizations, make grant recommendations and perform community service projects. To learn more about YAC or to join, please contact Karin Beyer at 989-731-0597 or email [email protected] or fill out the Membership Application. In your opinion, what is the most critical issue facing youth today and why?